On my summer food journey I was directed into the direction of a true find and yes, first impressions in the world of restaurants mean almost everything. Paladar Cuban Restaurant offers superb food for both the sophisticated diner and the not so sophisticated, which is a healthy balance for sustaining a successful restaurant. Our evening at Paladar began with the Plantain chips with garlic and guacamole. Warm bread was also served upfront before the entrees made their appearance. The bread is served with a couple of different flavored butters and they shout out - delicious! The appetizers are wonderful, but definitely devour the flavors of Cuba Platter, which is enough for a party of four to six. Excellent all the way around on this one. Scrumptious! The Tilapia with Spanish rice and black beans, the Stuffed Poblano Pepper and the Garbanzos are all excellent and worth the trip to Paladar alone. The meat and seafood dishes are plentiful, but vegetarians and even vegans will be taken aback with the multiple number of options the customer is given. Paladar has outdoor dining and even though the restaurant is located off of a busy street you are in a private enough location that no one has to talk above the din of street traffic. Another plus: parking was shockingly easy. The service was outstanding and I don’t say that loosely. Just outstanding. The indoor location is delightfully designed with personal life treasures hanging on the walls and a sentimental plate wall that features a long-held tradition of gifting with a plate. Bring the owner a plate and maybe you will leave your mark on the restaurant's wall. The Havana bar in the back looks welcoming enough that Ernest Hemingway himself most assuredly would have enjoyed a hit of a mojito. Paladar offers a wide range of mojitos, margaritas and various rum options. Paladar is cozy and comfortable. 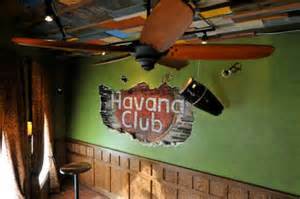 The indoor dining room, the outdoor patio and the Havana bar are all welcoming. If you want cozy and romantic you will get that; and if you are hanging out with friends you will enjoy the tastes of the restaurant while enjoying good conversation. The owner was born in Cuba, but came to the United States at the age of six. He has taken Paladar to a high level in Cuban dining. The concept of the restaurant was based on the paladares of Cuba. They were home-grown restaurants since official restaurants weren’t allowed in the Caribbean nation. Paladar is at the high end of Cuban meals in the Midwest. Time seemed to stop here while we embedded ourselves in some delicious food. First-rate food and good-natured service = excellence. 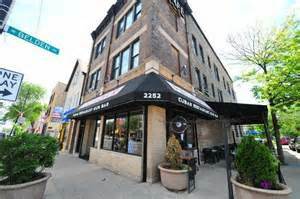 Logan Square has become one of the hippest neighborhoods in the city and I don’t mean hip in the sense of trendy, even though it is now trendy. It’s hip, because some talented chefs and restaurateurs are doing business in this area. Another huge asset to Logan Square - the walking areas are memorable. Taking a walk down the boulevard is a gentle nudge in the entertaining yourself department while you get some essential exercise. Don't miss Paladar! Oh-and the prices are beyond reasonable. After 6pm there is free parking at the PNC Bank parking lot, but you need to get a pass from the restaurant.